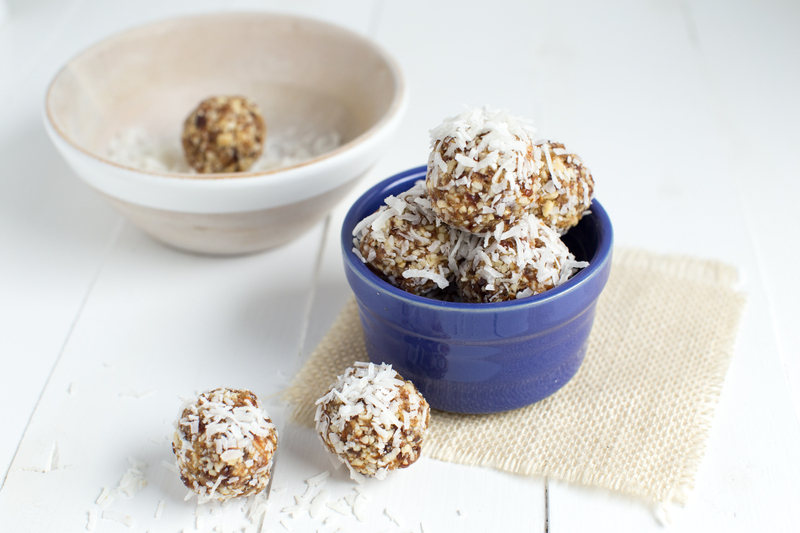 These simple yet flavorful Vanilla Coconut Crunch Energy Bites are the perfect quick, easy and healthy snack you can take with you! 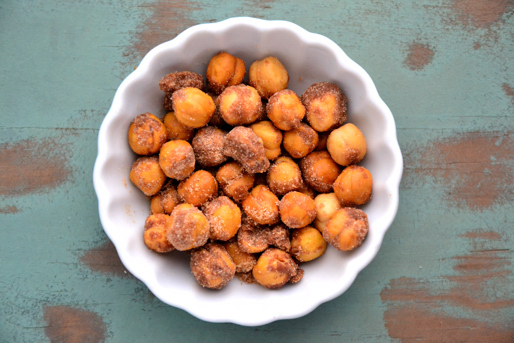 These little bites combine five simple ingredients to create a tasty treat that both kids and adults will love. Best of all, these energy bites come together in no time. Using only one versatile kitchen tool and a few simple wholesome ingredients, you can create a satisfying little snack. 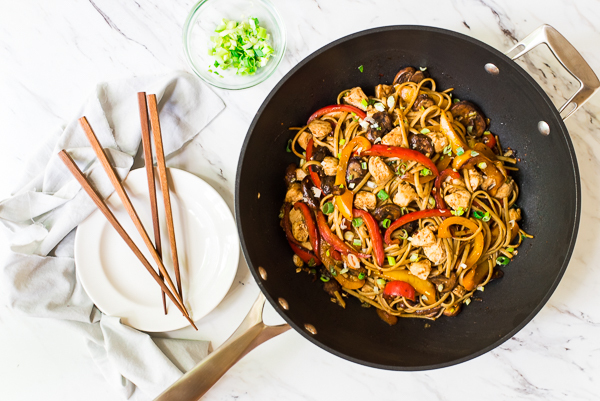 For this recipe, use the KitchenAid® 9-Cup Food Processor. With the ExactSlice™ system, the Food Processor cuts, slices and pulses food with ease. It’s perfect for all tasks, whether big or small, and is really easy to clean. Add a few simple ingredients to the Food Processor, pulse until combined and you can create a fun snack option. 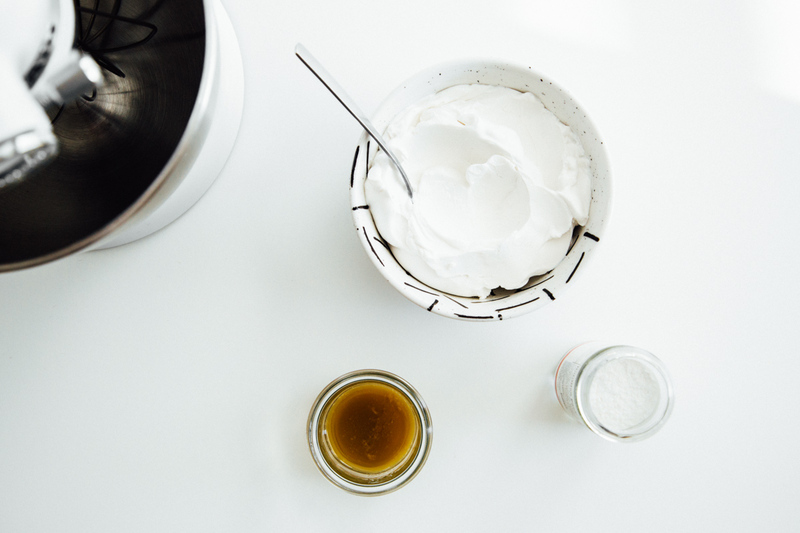 You can even use your own combination of ingredients to create unique energy bite flavors. Start with the same base recipe using the almonds, cashews and dates. Add some of your other favorite flavors such as lemon juice, lime juice, shredded coconut, dried cranberries and more. Be creative and satisfy your craving for something sweet, tart or flavorful. The combination of vanilla, shredded coconut and crunchy nuts makes this recipe one of the best energy bites you will make this year. The dates add a subtle sweet flavor that you won’t be able to resist. To make these energy bites, add the almonds and cashews to the bowl of the KitchenAid® 9-Cup Food Processor. Pulse until the nuts are finely chopped. Be careful not to pulse too long because you do not want the nuts to turn into a paste. I actually prefer to leave the nut pieces coarser to add a bit of crunch to the energy bites. After the nuts are finely chopped, add the dates and vanilla extract. Pulse until the dates are finely chopped and the mixture starts to clump. Work the mixture together in your hands and shape into 1 1/2 inch balls. Roll in shredded coconut to coat the outside of the balls. Store in an airtight container in the refrigerator for up to one week. Making healthier homemade snacks doesn’t have to be difficult. My tips is to make a batch on the weekend to last through the week. Try a new flavor combination each week or use the Food Processor to experiment with your own fun snack recipes. Go ahead, break out your KitchenAid® 9-Cup Food Processor and make a healthier treat that will provide you with extra energy to power through your day. Experiment with your own flavor combinations to create energy bites that you can enjoy every single day of the year! Be sure to share your take on this Vanilla Coconut Crunch Energy Bites recipe with us on Instagram using #MadeWithKitchenAid for a chance to be featured. 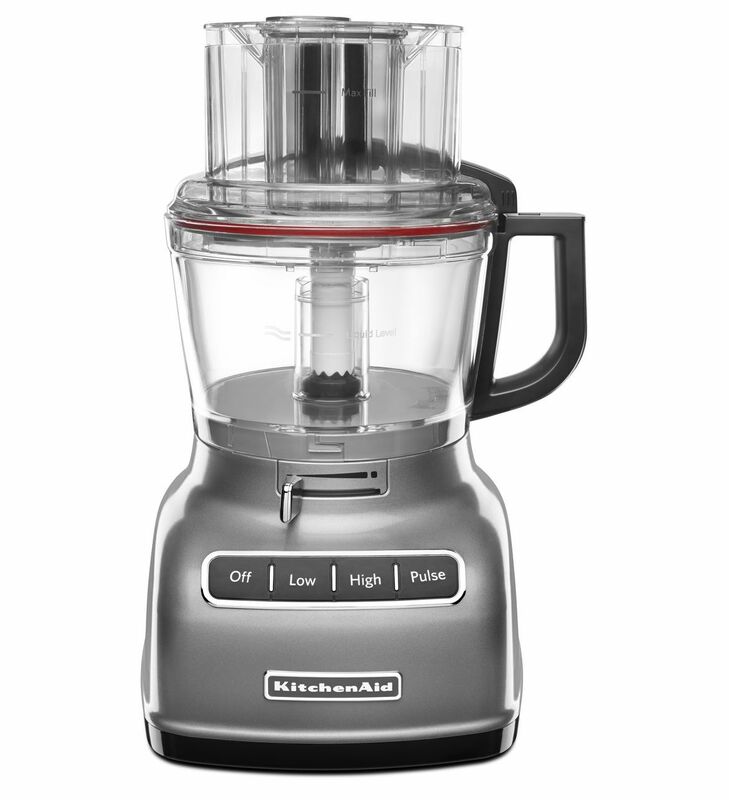 Add the almonds and cashews to the bowl of a KitchenAid® 9-Cup Food Processor. Pulse until the nuts are finely chopped. Do not pulse too long as you do not want the nuts to turn into a paste. Add the dates and vanilla. Pulse until the dates are finely chopped and the mixture starts to clump. Shape the mixture into 1 1/2 inch balls. Roll in the shredded coconut to coat the outside of the balls. Store in an airtight container in the refrigerator for up to one week.